As part of my Blog-wide effort to publish a “Sort Version” of my various longer articles, this entry will tackle the matter of Probation Violations. In an earlier Blog Post entitled “Probation Violations – Staying out of Jail,” we examined, in considerable detail, what happens when someone who is on Probation is charged with a Violation of its terms. As a Criminal Defense Lawyer, I limit my Practice to Macomb, Oakland and Wayne Counties. Thus, the information related in this Blog comes from my handling cases day-in and day-out in the local, Tri-County Courts. Almost every Probation Violation comes about because the person on Probation is accused of either not doing something the Judge ordered them to do, or they did something they weren’t supposed to, like picking up a new charge or testing positive for drugs. When the Probation Department “violates” a Probationer, the Court is told what the person either did or did not do which gives rise to the violation. There is an Arraignment, at which the Defendant should plead “Not Guilty,” and a Bond is set. The Arraignment is followed by the actual Probation Violation Hearing, which by law must be scheduled within 14 days from the date of the Arraignment. 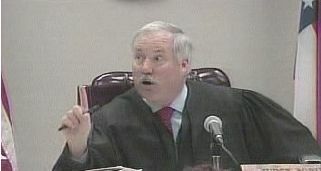 On the Hearing date, the Defendant and his or her Lawyer appear in Court and go before the Judge. In some Courts, the Defense Lawyer will meet with the Probation Officer before going in the Courtroom, in an attempt to see if some kind of agreement, kind of like a Plea-Bargain, can be worked out. In other Courts, both sides simply stand before the Judge. The Defendant has the right to a full-blown hearing, but the standard rules in Criminal Cases do not apply. Hearsay evidence is allowed. The Probation Department must simply convince the Judge, by what’s called a “Preponderance of the Evidence,” (simply put, that it’s more likely than not, or 50.0001% “Yes” to 49.9999% “No”) that the Probationer either did something he or she was not supposed to, or didn’t do something they were ordered by the Judge to do. Most cases don’t go this far. Usually, the person being Violated pretty clearly did something they weren’t supposed to, or didn’t do something they were ordered to do. Thus, most cases are resolved by a Plea of Guilty to the Violation. It’s at this point that the Lawyer’s ingenuity, persuasiveness and skill come into play. Instead, the Judge needs to hear that no matter what did or didn’t happen, it was not out of a lack of respect for the Court or a disregard of its orders, but rather because of a regrettable lapse in judgment. A Lawyer handling a Probation Violation better be charismatic, dynamic, know the Court, and be convincing enough to sell air conditioners to Eskimos. To find that Lawyer, a person needs to do some shopping around. Anyone who sounds as subdued as an Undertaker is probably not the person for this kind of job, nor is someone who doesn’t know the Judge very well. A Probation Violation Hearing is the last place for a Lawyer to first meet the Judge (who is already impatient with the Defendant) for the first time.